Council tax is a system of local taxation in Great Britain and is used to part fund local services such as police and schools. It was introduced in 1991 and is based on the value of residential property. Council tax is based on the value of a property in 1991 when council tax was first introduced. This means that you’re not looking at the value of your property at the moment to establish what band you are is – which can be very confusing. It is particularly confusing for properties that have been built since 1991. In this case a nominal ‘1991 value’ is given to the property to assess which council tax band the property falls under. 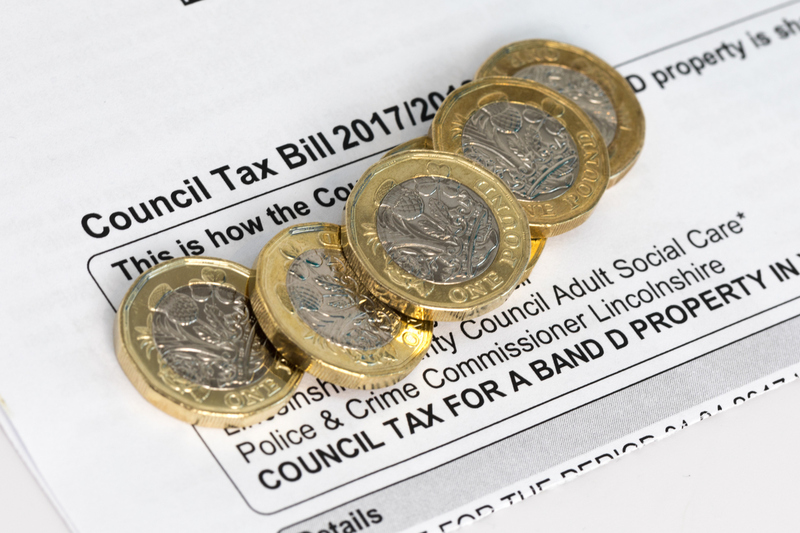 Councils set their own council tax prices but all are based on the same banding system. Your local council will set the price of a band D property occupied by two people and then all other bands will be calculated from this using a ratio. To add to the confusion, council tax bands are different in England, Scotland and Wales. What are the council tax bands in England? What are the council tax bands in Wales? Most properties are subject to council tax and most people will have to pay council tax but there are some exceptions. The list below gives details of conditions for council tax exemption. Highlighted cells show exemptions where a residence may be occupied. Each exemption falls into a class, which are as follows. This is from the Direct.gov site on council tax. Class A: A dwelling which is unoccupied and substantially unfurnished, requiring or undergoing structural alterations or major repair works to make it habitable (exempt for up to 12 months which will include a maximum of up to 6 months after completion). Class B: An unoccupied dwelling owned by a charity (exempt for up to 6 months). apply after the 6 months. in prison for non-payment of Council Tax or fines). Class F: An unoccupied dwelling where probate or letters of administration are awaited. Class G: An unoccupied dwelling which is empty because occupation is prohibited by law. Class H: An unoccupied dwelling, waiting to be occupied by a minister of religion. somewhere other than a hospital or home. Class K: An unoccupied dwelling owned or leased by a qualifying student who has been a student for the whole of the period since it last ceased to be his/her residence. Class L: An unoccupied dwelling which has been repossessed by a mortgagee. Class M: Student halls of residence. Class N: A dwelling which is occupied only by students, the foreign spouses of students, or school and college leavers. Class O: Forces barracks and married quarters. Class P: A dwelling where a liable person has a relevant association with a Visiting Force. Class Q: An unoccupied dwelling which is the responsibility of a bankrupt’s trustee. Class R: A pitch for a caravan or a mooring for a boat, which is not currently occupied by a caravan or boat. Class S: A dwelling occupied only by a person or persons aged under 18. Class T: An unoccupied dwelling which comes within the curtilage of another dwelling (an occupied one) and is difficult to let separately from that other dwelling. Class U: A dwelling occupied only by a person or persons who are severely mentally impaired. Class V: A dwelling occupied by a person on whom diplomatic privileges and immunities apply. Certain individuals are eligible to receive discounts on council tax. There is a 25% discount on council tax for properties that are occupied by a single occupant. Other discounts include those on benefits. You must apply to your local authority for any council tax benefit.u may be eligible for more.